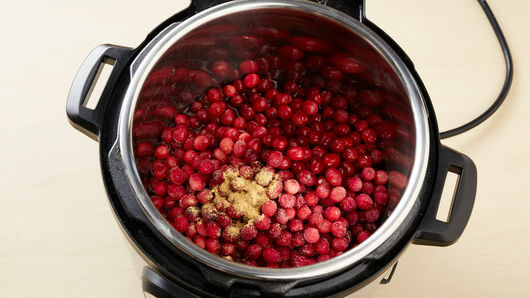 In 6-quart Instant Pot™ insert, mix cranberries, water and ground ginger. Secure lid; set pressure value to SEALING. Select MANUAL; cook on high pressure 2 minutes. Select CANCEL. Set pressure valve to VENTING to quick-release pressure. Select SAUTE; adjust to LESS. Stir in sugar and orange peel; cook 5 to 8 minutes, stirring occasionally, until cranberries pop and sauce is bubbly and thickens slightly. Press CANCEL. Remove insert; cool 30 minutes. Transfer mixture to medium bowl; cover. Refrigerate about 3 hours or until chilled. 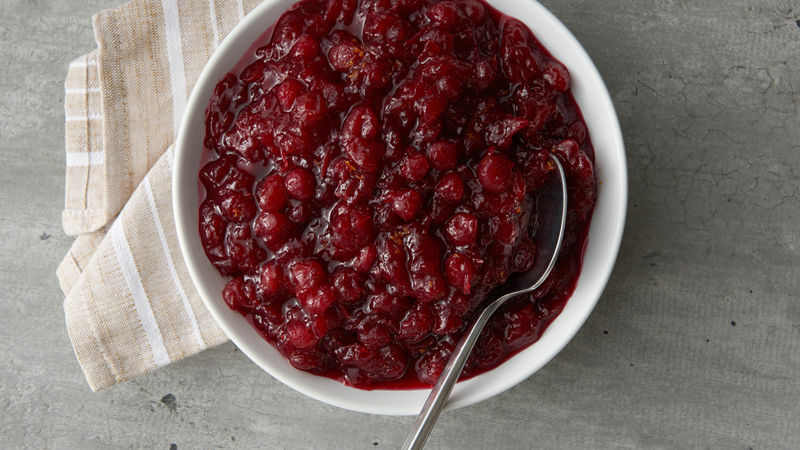 This cranberry sauce is great to make ahead and refrigerate until ready to serve. It thickens up as it cools. Leftover sauce makes a great sandwich spread, a topping for oatmeal, yogurt and cake. 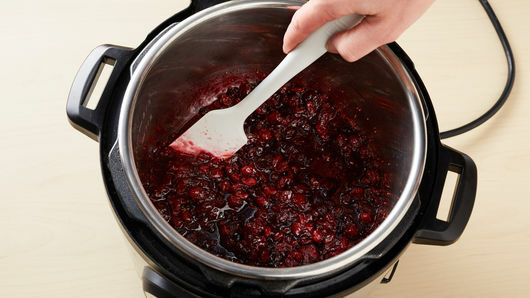 Be sure to thaw your frozen cranberries before using in the Instant Pot™ to ensure best results.